See our schedule of end-of-life training, certificate programs, and continuing education in palliative care for nurses, physicians, clinicians and caregivers. * This is a two-part program, thus registration for Phases 1 and 2 is required. Students must also complete the Best 3 Months (B3M) practicum between the two on-site workshops to earn their certificate. The Sacred Passage Doula Certificate Program program benefits all those involved in the care of life, love, family, and healing. From healthcare professionals to concerned family members to end-of-life experts, this training provides the preparation needed to befriend death, surrender and trust deeply in each moment, become part of the next great evolution in healthcare, and become a supportive and effective end-of-life companion. For those wishing to dive even deeper with a calling to teach this work, you may also enter the Conscious Dying Educator Course. The total cost of the CDE certificate is $4595.00 and includes the Sacred Passage: End of Life Doula Certification. If you have already completed the End of Life Doula certificate, the cost of the CDE course is $1595.00. End of Life Doulas are frontline caregivers who offer healing care to families and patients during critical illness and the dying process. They work individually or in teams, being available around the clock to fill in the care-gaps before, nearing and during death. Their compassionate presence increases quality life moments of the families and patients they serve. The presence of an End of Life Doula at bedside assures that families and loved ones can focus on what is most important throughout the dying time. Frontline staff, nurses, clinicians, healing arts professionals, home and family caregivers, or anyone wishing to serve at the end of life, including those interested in exploring their own mortality and desire to deepen their present moment awareness and full experience of life. The Sacred Passage Doula Certificate Program changes end-of-life care by transforming caregivers who return the emotional, spiritual, physical, practical care and loving experience they receive to the patients and families they serve. It prepares caregivers to be authentically present, communicate with vulnerability, honesty, and compassion so as to administer palliative-based comfort care healing modalities to anyone, in any setting, regardless of health status. This is a 2-phase program leading to the Conscious Dying Institute's Sacred Passage Doula Certificate. It offers 66 Continuing Nursing Education (CNE's) and the workshops are not offered separately. Both retreats are non-residential, which means they do not include housing. The program is designed to bring the caregiver into a deeper understanding of, and peace with, his or her own mortality. After all, it is hard to comfort the dying if the comforter is feeling fear. Through live music, restorative and releasing “practices for death”, vision mapping for end-of-life, grief and forgiveness activities, and other clinically-tested tools, participants heal their own sense of separation and isolation from life and death. From this place of greater self-understanding, there is a far greater capacity for holding one another, listening attentively, being open and honest, and offering forgiveness and love. 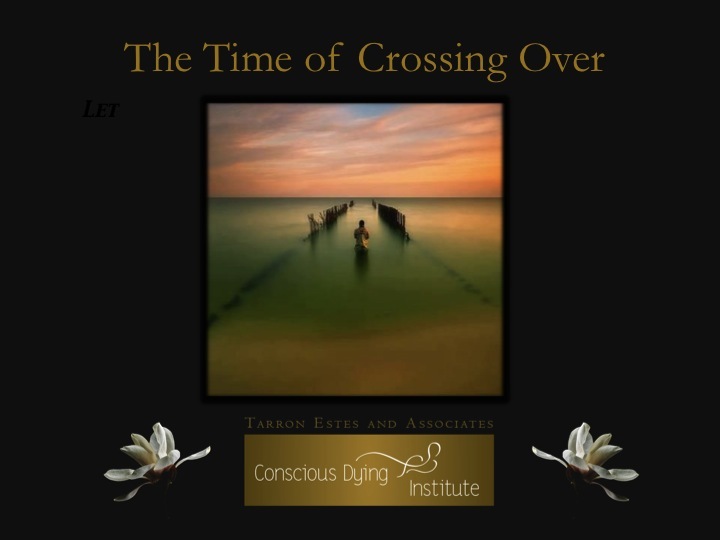 In this setting, transformational, evidence-based, caring and healing practices are taught through the Caring Science Theory of Dr. Jean Watson and Conscious Dying Principles and Practices of Tarron Estes. Between Phase 1 and 2, all participants will take a 3-month practicum under faculty guidance. We call this the 'Best Three Months: End of Life Coaching and Care Planning (B3M). This is for students to learn family, patient, caregiver and community engagement through a life fulfillment assignment. Students learn to identify priorities in 5 domains of life and create care plans guided by the end-of-life wishes and choices of patients and families facing critical illness and death. Completion of the practicum is a requirement; students will work with a classmate and 2 additional members of their community. To register, please click the “register” button below. The total price of Phase 1, Phase 2, and the practicum in-between is $2,995. Paypal invoicing and early bird discounts may be available. Retreat times are 9am - 6pm or 9am - 8pm, with breaks for lunches and dinners. Exact schedules and itineraries will be provided at registration. Refund/Cancellation Policy: No refunds. If for any reason you need to cancel your attendance for this event, we will happily reschedule for another program within 12 months. Sacred Passage: End of Life Doula Certificate* offers 66 CNEs and is held in Boulder, CO, USA on the following dates. The Caritas Conscious Dying Coaching Certificate program begins with a 3-day, on-site workshop occurring April 25-27, 2019. The on-site training supports students via transformational, experiential practices that strengthen authentic presence and loving kindness, restores innate healing gifts and talents, renews purpose, and restores the art of caregiving to a spiritual path. This training and the interactive life changing activities provided by Dr. Watson and Tarron Estes increase one’s capacity to be emotionally and spiritually supportive during this vulnerable and, sometimes turbulent, period of life. The certificate course gives students the confidence they need to befriend death and to inquire about, and deeply connect with, what people want most during critical illness and death. Over the 3 months following the on-site training event, students take part in a virtual practicum called “Best Three Months: Conscious Dying Coaching and Care”. They work with student partners and community individuals to learn how to identify, understand, and implement end-of life-priorities in 5 domains of life. In this way, participants learn about what matters most to themselves, as well as to patients and their families, within the context of a “3 months to live” timeline. They engage with readings, resources, and reflective activities from the field of Caring Science as Sacred Science and Conscious Dying Healing Care. Our transformatoinal program expands the students’ capacity to offer care and healing within the Sacred Circle of Life. By entering this life-enriching, end-of-life coaching certificate program in Caring Science Conscious Dying, students engage in a new praxis of holistic end-of-life education. Together we can restore death to its sacred place in the beauty, mystery, and celebration of life, thus joining a culture of Caritas Conscious Dying Coaches whose caring, healing presence and inner transformation awaken human consciousness. The course is open to all clinical professionals, family caregivers, graduates of CCEP, WCSI affiliates, and the public at large. It is appropriate for anyone wishing to increase love, care, healing, and life fulfillment before, during, nearing, and after death. It is a program for anyone wishing to educate the public and serve families and patients during this powerful healing portal surrounding death. Create a New Praxis of Wisdom-Based Caritas Conscious Dying Coaches and Educators who increase care and healing moments for patients and families and bring End-of-Life Education to systems and the public. The "Best Three Months" is one of the most powerful end-of-life care and planning processes available. It goes beyond advance directives and beyond what we don't want during our dying time; it focuses on how we live our lives before, during, and after death. Students learn the 5 Domains of Life: Individual & Family Coaching model and group facilitation practices which focuses on identifying and implementing our most important life priorities within a 3 month-to-life timeframe. By going through the "Best Three Months" practicum, students establish a strong foundation to foster integration of the 10 Caritas Processes from Dr. Watson and 10 Conscious Dying Principles from Tarron Estes. It gives students an opportunity to synthesize all they have learned in this course so that as graduates, they can increase the number of people who receive the end-of-life care that they want and need, no matter the setting. Our Caritas Conscious Dying Coaches learn the "Best Three Months" coaching model in preparation to listen deeply and implement the things people hold most precious in their hearts and minds. This is a life-changing exploration for anyone wishing to live fully NOW! Program Cost: $1595.00 for 3-day, on-site training & Virtual "Best Three Months: Conscious Dying Coaching and Care" practicum. CNEs available from ANCC! “Imagine being part of the evolution of human consciousness by offering conscious dying education to your local networks, systems, and communities. Imagine being part of a new praxis of end of life education that includes the inner awakening of caring professionals, patients, and families. As founder of the Conscious Dying Institute, I am excited to invite you to be part of our new Conscious Dying Educator Certificate Course (CDE). 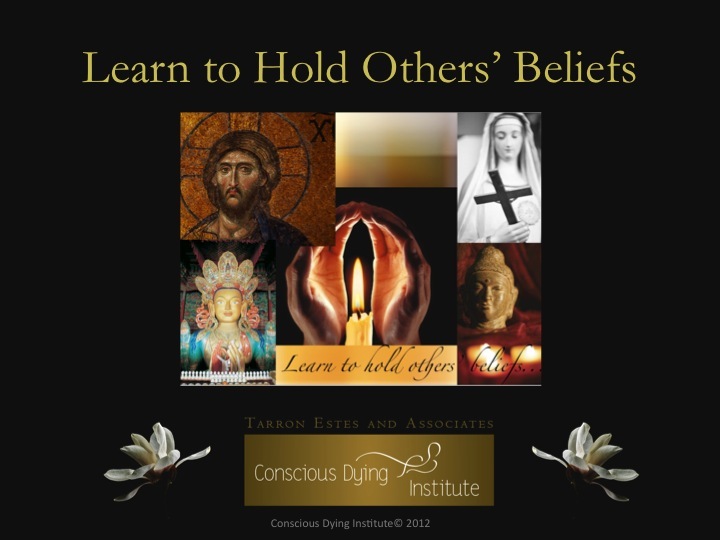 This new course takes place during and within the Caritas Conscious Dying Educator Certificate (CCDC) course April 25-27 in Boulder, Colorado, and is followed by a 3 month B3M virtual practicum. What will I receive in the CCDC course as a CDE student? Newly developed student resources expounding and expanding on your End of Life Doula Handbooks and training. What is the purpose of becoming a CDE? To learn the tools and facilitation skills to further the educational outreach of conscious dying principles within community organizations and other group populations. In this community role, you will be advancing your doula passions and CDI’s mission to: restore death to its sacred place in the beauty, mystery & celebration of life. You will be a valuable participant in raising awareness in the Death Positive Movement and Conscious Dying Education and Care practices. With these expanded skills, as a Sacred Passage Doula and Conscious Dying Educator, you will be on the frontline of expanding the number of people identifying and receiving the care and life-fulfillment processes they want and need before, during and after life’s end. Am I a good candidate to become a CDE? What will I be, know, learn, and do in this course? CDI’s Conscious Dying Educator (CDE) Certificate program offers a deep dive into utilizing the B3M (Best 3 Months) process as a coaching and facilitation model for groups, community organizations and health systems. CDE graduates become expert coaches and master teachers of group facilitation of the B3M process as a powerful tool to increase the number of people in communities who have identified and implemented what is most important before they die. You will learn the Caring Science Theory and Philosophies, Unitary World View as developed by Dr. Jean Watson, and the application of these to your doula work in the subtle and spiritual realm nearing end of life. Complete a CDE mentor-guided internship facilitating a B3M training in your community with a group of 10-15 participants. Be available to interact with CCDC student homework, group chats and discussion groups during their B3M 12-week practicum. Directors of Nursing, Health Care Educators, Healing Arts Professionals, Clinical Professionals, Senior Community Leaders, Hospice and Palliative Care Leaders and Caring Professionals who have met application requirements and been accepted for the Conscious Dying Institute (CDI)Teacher Training Program. Refund / Cancellation Policy: If for any reason you need to cancel your attendance for this event, we will happily reschedule for another program within 12 months. For those wishing to dive even deeper with a calling to teach this work, you may also enter the Conscious Dying Educator Course. The total cost of the CDE certificate is $4595.00 USD and includes the Sacred Passage: End of Life Doula Certification. If you have already completed the End of Life Doula certificate, the cost of the CDE course is $1595.00 USD. To register, please click the “register” button below. The total price of Phase 1, Phase 2, and the practicum in-between is $2,595 USD. Paypal invoicing and early bird discounts may be available. * This is a two-part program, thus registration for Phases 1 and 2 is required. It is held in the beautiful retreat center, Sanctuary in the Pines, in Flat Rock, NC. If you don't have other lodging arrangements, we invite you to make arrangements there to fully take advantage of the shared retreat setting. Become a Best Three Months: Conscious Dying Coach! Join Tarron Estes this September in Minneapolis, Minnesota for this transformational, 3-Day on-site program and 12 week virtual practicum. Save $400 thru June 13th | Register now! This is a 2-phase program leading to the Conscious Dying Institute's Sacred Passage Doula Certificate. It offers 66 Continuing Education Credits (CEU's) and the workshops are not offered separately. Both retreats are non-residential, which means they do not include housing. The program is designed to bring the caregiver into a deeper understanding of, and peace with, his or her own mortality. After all, it is hard to comfort the dying if the comforter is feeling fear. Through live music, restorative and releasing “practices for death”, vision mapping for the end of life, grief and forgiveness activities, and other clinically-tested tools, participants heal their own sense of separation and isolation from life and death. Administering life completion practices including forgiveness, gratitude, legacy, and grief work. Between Phase 1 and 2, all participants will take a 3-month practicum under faculty guidance. We call this the 'Best Three Months: End of Life Coaching and Care Planning (B3M)'. This is for students to learn family, patient, caregiver and community engagement through a life fulfillment assignment. Students learn to identify priorities in 5 domains of life and create care plans guided by the end of life wishes and choices of patients and families facing critical illness and death. Completion of the practicum is a requirement; students will work with a classmate and 2 additional members of their community. To register, please click the “register” button below. The total price of Phase 1, Phase 2 and the practicum in-between is $2,995. Paypal invoicing and early bird discounts may be available. If you would like more information, please contact us at: info@consciousdyinginstitute.com. Join Conscious Dying Institute in Twin Cities area for training in Conscious Dying, End of Life Doula Certification, and Evening Events! Come to one or all of our programs Below. Mankato Sacred Passage End of Life Doula Certificate| Register Now! *Serves as Phase 1 of the "Sacred Passage: End of Life Doula Certificate"
Personal Transformation, End of Life Care and Healing for Best Three Months of Life"
This course increases capacity to discover and offer the care that you and other people want and need in their most vulnerable time of life. We expand our sense of what is possible, create a longer view of time and holistic care modalities, and provide support not only during the last weeks and days of life but throughout the final months. This transformative care goes beyond advanced directives toward living the experience of patient and family wishes, culminating in the “Best Three Months of Life”. The course is appropriate for front line home and healthcare system caregivers and staff, family, faith based or community organization members, nurses and life coach students, and anyone who desires to serve and support patients and families during the final months of life. It Includes "Best 3 Months: End of Life Coaching & Care Planning" | Virtual End of Life engagement, communication, life fulfillment process establishing Spiritual, Emotional, Physical, Life review, After Death Care Priorities. Completed with a Student Partner and two Community Partners taking place via internet, phone, or in person. 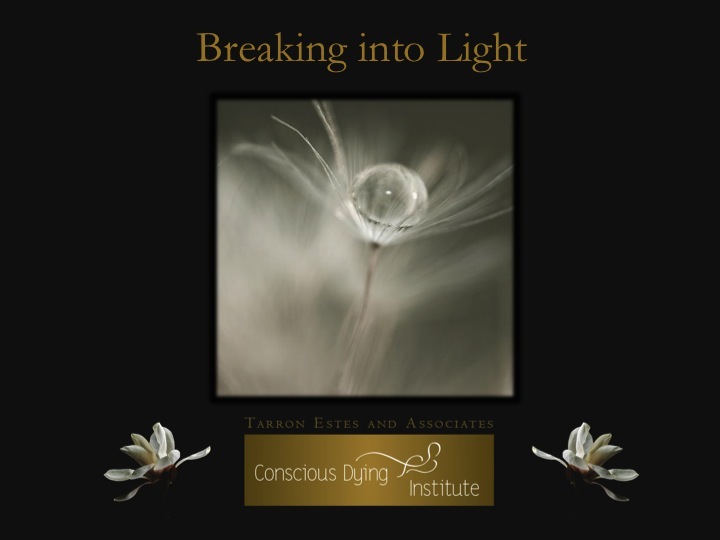 Join Tarron Estes, Founder of Conscious Dying Institute and thought leader in Conscious Dying Education and Care for "Conscious Dying Training: Personal Transformation, End of Life Care and Healing for Best Three Months of Life". This community-based event brings end of life education, engagement and life fulfillment course for people and caregivers in all walks of life. Through interactive transformational activities participants learn to create restorative environments, caring healing moments, and loving experiences guided by their end of life priorities and choices and if so desired, of patients and families facing critical illness and death. After the 3 Day course, students may take part in a virtual practicum called "Best 3 Months: 5 Domains End of Life Care Planning" an end of life engagement, communication, life fulfillment process establishing Spiritual, Emotional, Physical, Life Review, After Death Care priorities. This virtual phase is completed with a Student Partner and two Community Partners. This takes place via internet, phone or in person and is required. Refund / Cancellation Policy: No refunds. If for any reason you need to cancel your attendance for this event, we will happily reschedule for another program within 12 months. An Evening of Transformation and Discovery! 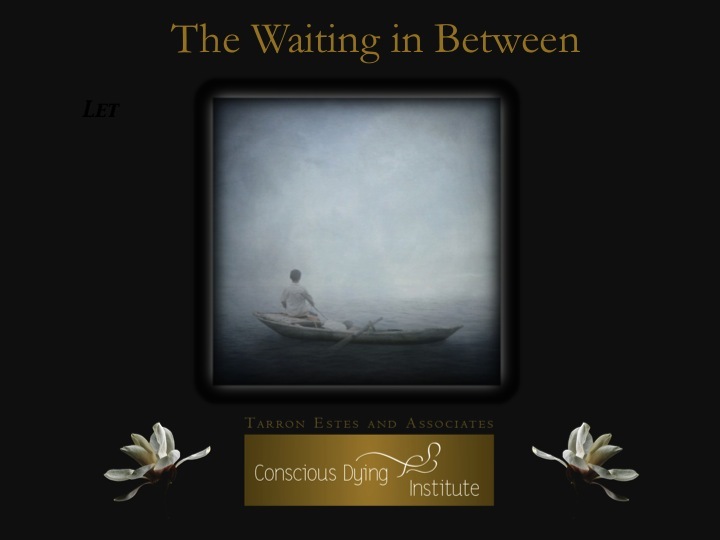 Tarron Estes is the Founder of Conscious Dying Institute and a thought leader in Conscious Dying Education and Care. She has created the country's leading end of life caregiver education certification called, "Sacred Passage: End of Life Doula Certification". This course creates a new CareForce--a new culture of care and healing at end of life through rich reflective resources and 2 transformational intensive onsites that create positive endings for patients and families by changing the lives of caring professionals. Join us for this 2 hour evening event that will open your life to the positive experiences within the transformational portal of care and healing surrounding the event we call "Death". Be a part of the positive death movement that will take us beyond personal development to understand caregiving as a spiritual path. Learn to go beyond advance directives, beyond do no harm and medical deaths toward care and healing for all and the evolution of human consciousness. 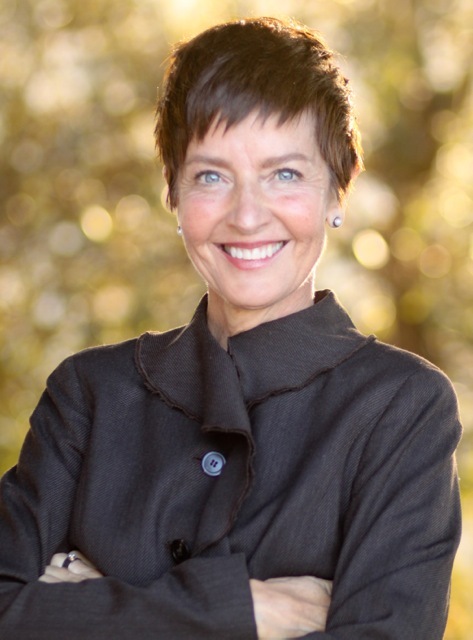 Register Now for "Open into Conscious Dying: an Evening Of Discovery! Conscious Dying Training | Personal Transformation & Healing Care Practices for the "Best Three Months of Life"
Sacred Passage: End of Life Doula Certificate* offers 66 CEUs and is offered in Boulder, CO USA on the following dates. * This is a two-part program, so registration for Phases I and II is required. Students must also complete the Best 3 Months (B3M) practicum between the 2 on-site workshops to earn their certificate. The Sacred Passage Doula Certificate Program program benefits all those involved in the care of life, love, family, and healing. From healthcare professionals to concerned family members to end-of-life experts, this provides the preparation needed to befriend death, surrender and trust deeply in each moment, become part of the next great evolution in healthcare, and become a supportive and effective end-of-life companion. End of Life Doulas are frontline caregivers who offer healing care to families and patients during critical illness and the dying process. They work individually or in teams, being available around the clock, filling the care-gaps before, nearing and during death. Their compassionate presence increases quality life-moments of the families and patients they serve. The presence of an end of life Doula at bedside assures that families and loved ones can focus on what is most important throughout the dying time. The Sacred Passage Doula Certificate Program changes end of life care by transforming caregivers who return the emotional, spiritual, physical, practical care and loving experience they receive to the patients and families they serve. It prepares caregivers to be authentically present, communicate with vulnerability, honesty, and compassion and administer palliative-based comfort care healing modalities to anyone, in any setting, regardless of health status. The program is designed to bring the caregiver into a deeper understanding of, and peace with, his or her own mortality. After all, it is hard to comfort the dying if the comforter is feeling fear. Through live music, restorative and releasing “practices for death”, vision mapping for end-of-life, grief and forgiveness activities, and other clinically-tested tools, participants heal their own sense of separation an isolation from life, and death. Administering life completion practices including forgiveness, gratitude, legacy, grief work. Between Phase 1 and 2 all participants will take a 3-month practicum under faculty guidance. We call this the 'Best Three Months: End of Life Coaching and Care Planning (B3M). This is for you to learn family, patient, caregiver, community engagement and life fulfillment assignment. is a family, patient, caregiver, community engagement and life fulfillment assignment. Students learn to identify priorities in 5 domains of life and create care plans guided by the end of life wishes and choices of patients and families facing critical illness and death. Completion of the practicum is a required, with students working with a classmate and 2 additional members of their community. To register, please click the “register” button below. The total price of Phase 1, Phase 2, and the practicum in between is $2,995, Paypal financing and early bird discounts may be available. This event is held in Boulder, CO.
Retreat times are 9am - 5pm or 9am - 8pm, with breaks for lunches and dinners. Exact schedules and itineraries will be provided at registration. Both retreats are non-residential, which means they do not include housing. For those wishing to dive even deeper with a calling to teach this work, you may also enter the Conscious Dying Institute Master's Path . Total cost of the CDE (Conscious Dying Educator certificate) is $4595.00 and includes the Doula Certificate. If you have already completed the Doula Certificate, cost is $1595. Join Echo and Bobby go in depth with Tarron about what it is to become a certified Death Doula and how this incredible program is helping families and individuals become present and conscious in the dying process. Tarron also talks about her upcoming event in Minneapolis and Mankato where Echo will be guest speaking. "Walking With Death" an evening with Tarron Estes & Echo Bodine July 13, 2018 | Cost $35 | Register Now! Join your guides Echo Bodine and Tarron Estes for an introductory evening to Conscious Dying Institute's sacred, healing practices for the caring for self and others during the End of Life journey and to Echo Bodine's exploration of the soul's perspective on consciousness that can be accessed before during and after death. Register Now for "Walking With Death"
Join our thriving Sacred Passage Doula Community of British Columbia in the upcoming End of Life Doula Training in Vancouver, BC, Canada! Between Phase 1 and 2: "Best 3 Months: End of Life Coaching and Care Planning" an end of life engagement, communication, life fulfillment process establishing Spiritual, Emotional, Physical, Life Review, After Death Care priorities. This virtual 12-week phase is completed with a Student Partner and two Community Partners. This takes place via internet, phone or in person and is required. The Conscious Dying Institute provides students with substantial PDF Resource Guides of reading and writing assignments before each phase. There are also books for required reading. The Sacred Passage Doula: End of Life Doula Certificate Program benefits all those involved in the care of life, love, family, and healing. From healthcare professionals to concerned family members to end-of-life experts, this provides the preparation needed to befriend death, surrender and trust deeply in each moment, become part of the next great evolution in healthcare, and become a supportive and effective end-of-life companion. For those wishing to dive even deeper with a calling to teach this work, you may also enter the Conscious Dying Institute Master's Path. Sacred Passage Doulas are frontline end of life caregivers who offer healing care to families and patients during critical illness and the dying process. They work individually or in teams, being available around the clock, filling the care-gaps before, nearing and during death. Their compassionate presence increases quality-of-life moments of the families and patients they serve. The presence of a Sacred Passage Doula at bedside assures that families and loved ones can focus on what is most important throughout the dying time. The Sacred Passage: Doula Certificate Program changes end of life care by transforming caregivers who return the emotional, spiritual, physical, practical care and loving experience they receive to the patients and families they serve. It prepares caregivers to be authentically present, communicate with vulnerability, honesty, and compassion and administer palliative-based comfort care healing modalities to anyone, in any setting, regardless of health status. This is a 2-phase program leading to the Conscious Dying Institute Sacred Passage: End of Life Doula Certificate. These non-residential workshops are not offered separately. The program is designed to bring the caregiver into a deeper understanding of, and peace with, his or her own mortality. After all, it is hard to comfort the dying if the comforter is feeling fear. Through live music, restorative and releasing “practices for death”, vision mapping for end of life, grief and forgiveness activities, and other clinically-tested tools, participants heal their own sense of separation an isolation from life, and death. Implementing complementary therapies in 5 domains of life: Spiritual, Emotional, Physical, Life Review, After Death Care. To register, please click the “REGISTER NOW” button below. The total program price is $2,595.00 (USD). Paypal financing and early bird discounts may be available. This event is held in Vancouver, BC, Canada. Program times are 9am - 5pm or 9am - 8pm, with breaks for lunches and dinners. Exact schedules and itineraries will be provided at registration. The regular Canadian program price is $2,595.00 USD, comparable to the US program price of $2995 USD. Early registration discounts and payment options are available. Click Here to Schedule a Meeting with Ana! Our 'Best Three Months: End of Life Priority Coaching Practicum' will be included in the full certificate at no cost. Phase I is February 11 - 13, 2017 & Phase II is June 24 - 28, 2017, in Vancouver, British Columbia. The total price of Phase I and II of the program is $2,019 CAD for the Early Bird pricing (through December 15). We have applied a 25% overall discount, along with early registration and 2 alternative Canadian Currency Options. (go to registration page) to make the program affordable for our Canadian community. Prices below listed in USD. Prerequisite for this course is completion of End of Life Doula Certificate. 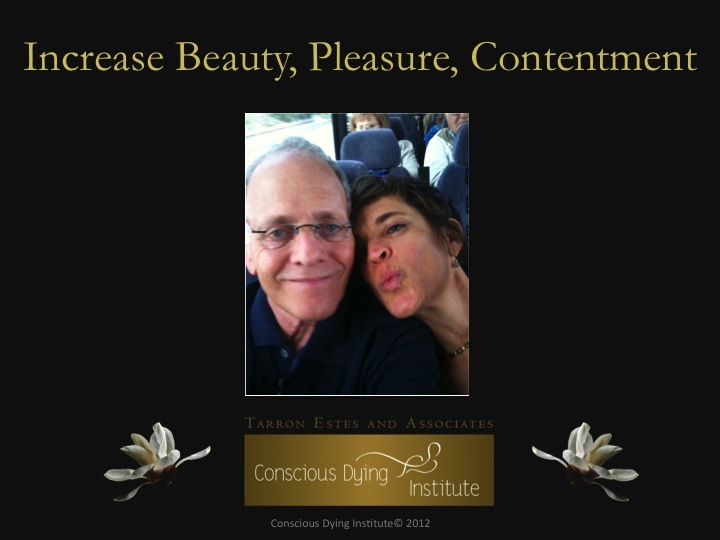 Conscious Dying Education Teacher Training offers 62 CEUs and is offered in Boulder, CO USA on the following dates. A fundamental assumption of Conscious Dying Education is that the nature of our heart is to give back the love, care and wisdom we receive. 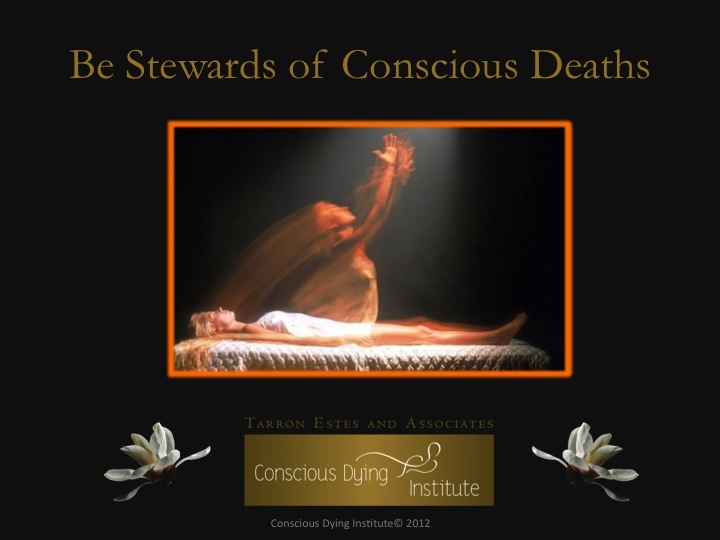 Conscious Dying Education Teacher Training prepares graduates of Sacred Passage: End of Life Doula Certificate Programs to facilitate Conscious Dying Education and Care. It's a course of study for those who wish to bring this important work into their communities--to transmit their heart wisdom to others. 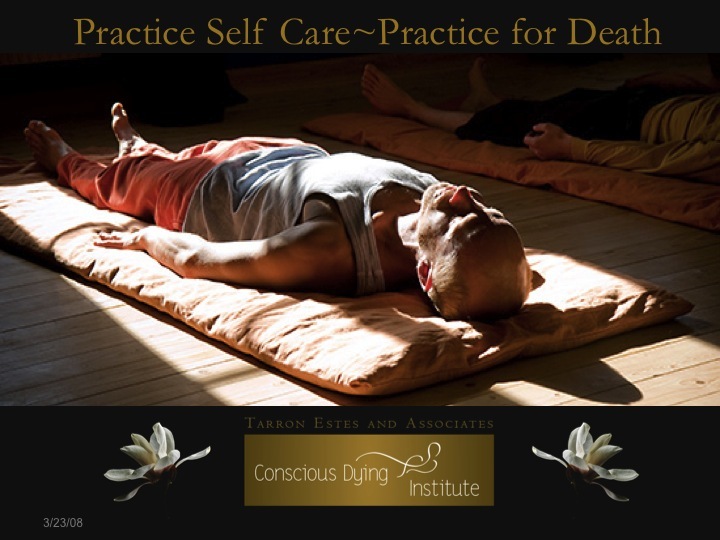 Conscious Dying Education Teacher Training prepares graduates of Sacred Passage Guidance Certificate Program and Best Three Months: End of Life Coaching course to facilitate Conscious Dying Education. The intention of the teacher training is to increase the number of patients and families comforting healing care they want and need most at end of life in all home and health care settings. And to broaden the reach of Conscious Dying Education to colleges of nursing, faith based groups, senior communities, and gatherings to support families and communities to understand a variety of care modalities and care situations that all them to make healthy choices before during and after death. A Conscious Dying Educator will offer Conscious Dying Principles, Practices, and Philosophy to community organizations such as Senior Communities and Faith-based organizations, increasing the number of patients and families receiving comforting healing care they want and need most at end of life. The Conscious Dying Educator will utilize the Best Three Months of Life Care Plan, supporting people in their communities to identify and fulfill their end of life wishes and priorities in all domains of life. 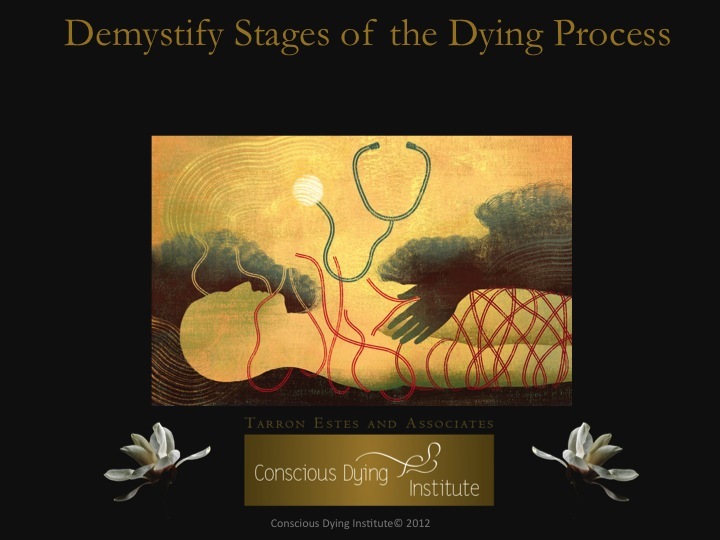 Phase II Independent Project - Design and implement a Conscious Dying Education event in your community. Choose elements of the Conscious Dying Education Sacred Philosophy and Theory to integrate into your teaching practice. Phase III - Attendance at the 5-day End of Life Doula Certificate Workshop, Wednesday, March 29 - Sunday, April 2, 2017, (or alternate option case by case basis) as a Teacher in Training demonstrating project outcomes in the classroom. Student Application prior to registering & attending the program(s). Attendance at prerequisite Sacred Passage Guidance Certificate Program(s). Full engagement in all learning activities of onsite course involving group/individual/partner exercises; conference calls, webinars, social networking and to work with Faculty mentor/guides(s) in exploring concepts, ideas, personal growth and coaching experiences as assigned. These may include, and are not limited to: personal reflective journaling that increase understanding and application core concepts and principles and increase self-care. Complete and submit all program evaluations. Sacred Passage: End of Life Doula Certificate* offers 62 CEUs and is offered in Boulder, CO USA on the following dates. "Best Three Months: End of Life Coaching and Care Planning" (B3M) Peer Practicum between phase 1 and phase 2. "Best Three Months" is a family, patient, caregiver, community engagement and life fulfillment course. Students learn to identify priorities in 5 domains of life and create care plans guided by the end of life wishes and choices of patients and families facing critical illness and death. The Sacred Passage Doula Certificate Program benefits all those involved in the care of life, love, family, and healing. From healthcare professionals to concerned family members to end-of-life experts, this provides the preparation needed to befriend death, surrender and trust deeply in each moment, become part of the next great evolution in healthcare, and become a supportive and effective end-of-life companion. This is a 2-phase program leading to the Conscious Dying Institute's Sacred Passage Doula Certificate. It offers 62 Continuing Education Credits (CEU's) and is not offered separately from the full Certificate program. Phase I is Friday, Sept 16 - Sunday, Sept. 18 and Phase II Wednesday, Nov 30 - Sunday, Dec 4 in Boulder, CO. Both retreats are residential, which means they do not include housing. To register, please click the “register” button below. The total price of Phase I and II of the program is $2,460, and payment plans are available. This event is held in Boulder, CO.
Retreat times are 9 - 5 or 9 -8, with breaks for lunches and dinners. Exact schedules and itineraries will be provided at registration. If you would like more information, please send us an email: info@consciousdyinginstitute.com. "Sacred Passage Doula Certificate Training" prepares Frontline Clinicians, Caregivers, Healing Arts Professionals, Volunteers, and Families to understand the desires and wishes of those who are passing and to offer the healing, comforting care they want and need. The program benefits all involved in the care of life, love, family and healing. It is the preparation we need to befriend death, surrender and trust deeply in each moment, and become supportive end of life companions. We expand from expertise in clinical practices to offer comforting care people want and need most. The underlying experiential teaching structure effectively brings personal healing and transformation to caring professionals so that their personal healing experience informs their care for others. End of Life Doulas are frontline caregivers who offer healing vs.curative care to families and patients during critical illness and the dying process. They work in teams, being available around the clock before, nearing and during death. Their compassionate presence increases quality life moments of the families and patients they serve. The presence of an end of life Doula at bedside assures that families and loved ones can focus on what is most important throughout the dying time. "Sacred Passage Doula Training" prepares Frontline Clinicians, Caregivers, Healing Arts Professionals, Volunteers, and Families to understand the desires and wishes of those who are passing and to offer the healing, comforting care they want and need. Tarron will be joining several other speakers at the Reimagining Death & Dying: Changing the Way We Care conference presented by Naropa University in Boulder, CO. Explore how contemplative practice enriches and improves end-of-life care for practitioners, professionals, and patients. Contribute to the conversation and gain practical tools to transform the way we care. What does it mean to “occupy” death, to transform and restore the experience of dying to its sacred place in the celebration and beauty of life? Explore some of the principles and concepts behind Conscious Dying Education. Discover through reflection and dialogue how to increase your capacity to be fully present & supportive at the end of life within your own communities. It is a 3 day program offered throughout the year in Boulder, Colorado and locations across the country and offers 24 Continuing Education Credits (CEU's). The program can be taken as a stand alone course. The program is for nurse leaders, clinicians, healing arts professionals, home and family caregivers. It increases the skills needed to care for clients, patients, friends and families who increasingly face end of life. The program is for anyone wishing to serve at end of life, including people interested in exploring their own mortality and desiring to deepen their present moment awareness and a full experience of life. In this immersion we will explore our dreams, hopes and fears surrounding death. This dialogue in both large group and pairs, restores trust in ourselves and each other, creates intimacy, builds community, openness and increases our capacity to be supportive companions at end of life within our own communities. We honor the inevitability of our mortality and attend to the simple basic human intimate needs for holding, listening, openness, forgiveness and love. The Sacred Passage Guidance Phase 1 changes end of life care by transforming caregivers. It prepares caregivers across all settings to be authentically present, communicate with vulnerability, honesty, and compassion and administer palliative-based comfort care healing modalities to anyone, regardless of health status by focusing on improving care at the end of life. You will learn transformational, evidence-based, caring healing practices guided by the Caring Science Theory of Dr. Jean Watson and Conscious Dying Principles and Practices by Tarron Estes. This one-day conference is offered by the Division of FaithHealth, Department of FaithHealth Ministries and FaithHealth Education, Wake Forest Baptist Medical Center and Novant Forsyth Medical Center. The focus is to increase authentic caring connection, compassionate communication, and comforting healing for self and patients. The conference will provide emotional and spiritual support to the deserving caregiving population allowing them to identify the impact of death and dying in their lives. It will provide renewal, release, relaxation and increase their ability to provide this deeply needed care to others. Target Audience: This conference invites nursing assistants, nurses and front line staff to spend a day in a transformative educational process that brings healing presence to the sacred journey of death and dying with patients and families. 1) Explore one's own relationship to death. 2) Renew purpose and power as caring healing practitioners. 3) Identify current practices offered by institutions and/or congregations at end of life. 4) Define best practices for healing presence for patients and families near time of death of a loved one. 5) Experience selected best practices for holistic care of patients and families. 6) Experience selected best practices for practitioner self care. In this 3 day program, we develop a deeper intellectual understanding of Conscious Dying Theory, Principles and Practices. Through multiple ways of knowing: dialogue, reflective, aesthetic, experiential, imaginal activities, participants explore their own relationship to Conscious Dying and create a personal, intimate understanding and meaning of the fundamentals of this work. Through dialogue with others and deep inquiry into our own beliefs and values, we make this work our own. This type of exploration allows for the independent investigation of truth, expanding our own views of life and death and our ability to hold the views, opinions, and beliefs of others. We include a basic view of Caring Science Theory by Dr. Jean Watson. The underlying experiential teaching structure includes The 10 Conscious Dying Principles, The Practice for Death, Authentic Listening/Responding and Bold Inquiry, and The Dialogue Process. This type of study develops Conversational Confidence and effectively brings personal healing and transformation to caring professionals so that their personal healing experience informs their care for others. Join Tarron Estes Founder of Conscious Dying Institute and Mary Rockwood Lane, co-founder and director emeritus of Shands Arts in Medicine program at University of Florida for "Sacred Passage Guidance" a transformative program for Frontline Clinicians, Caregivers, Healing Arts Professionals, Volunteers, and Families. The underlying experiential teaching structure effectively brings personal healing and transformation to caring professionals so that their personal healing experience informs their care for others. In the 5 day program we explore healing modalities and care planning in 5 Domains of Life. We work within the structure of a Care Planning tool called: Vision Mapping for End of Life. Each day is structured and focused to build awareness of our current reality and vision for our Spiritual, Emotional, Psychological, Physical, and Practical/After Death care. The outcome of this structured process is a Care Plan with action step for fulfillment in the Last 3 months of life based on who we are today. Each Participant will learn life-completion coaching and will have the opportunity to choose a partner with whom he or she will commit to completing the steps for last 3 months of life. We learn healing interventions that allow us to move toward emotional completion; communication practices that grow our conversational skills and our confidence to ask difficult, honest, and challenging questions that bring us closer and closer to our authentic truth. We will use Dream Translation as a way to enter into the understanding of the seamless inseparable thread of consciousness that we experience in the gap between dreaming, sleeping and dying. We include transformational, evidence-based, caring healing practices guided by the Caring Science Theory of Dr. Jean Watson and Conscious Dying Principles and Practices by Tarron Estes. End of Life Education and life experience for care of the dying is all but missing in our health care communities. Our Frontline caregivers who are faced with feelings of inadequacy, fear,isolation, grief and loss that goes unaddressed in their care of the dying. Today our culture continues to struggle in knowing how to be present with patients, and the families & caregivers who need support during the most vulnerable moments of life. It is our spiritual, moral&nbsp; and ethical imperative to address the deeper spiritual desires and needs of those who are passing by lifting up the lives of those who care for them. This program offers a Sacred Approach to end of life care a that upholds individual beliefs and practices. Participants explore hopes, fears, dreams and wishes for end of life care and learn to understand and offer the comforting healing care that people need and want. The program's transformational activities increase caring healing presence; develop compassionate, vulnerable, and honest communication; attend to grief, forgiveness and intimate human needs of patients and families facing end of life. Participants share their meaning of a Sacred Passage how what they need to be Sacred Passage Guide to others. It is a 3 day program offered throughout the year in Boulder, Colorado and locations across the country and offers 24 Continuing Education Credits (CEU's). The program can be taken without commitment to the certificate program. Phase 2 of Sacred Passage Guidance and Healing with the Arts is a transformational program for families, students, and clinicians increases the comforting care people want and need by changing the lives of those who serve at end of life as “Sacred Passage Guides”™. Join our companion 5-day, residential retreat in Crescent Beach, FL - click for detail & to register for BOTH programs. The beauty and peace of Wilmot Gardens will provide a healing environment in which participants join in active meditations, Healing With the Arts™, and Practices for Death™, and inspiring dialogue that restore the experience of dying to its sacred place in the abundance, celebration and beauty of life. The practices offered increase empathy and facilitate healing in relationships that renew our connection to spiritual, emotional, and physical well-being. By attending to our dreams, hopes and fears surrounding death we complete with our past, create conscious lives and deaths, and are able to work creatively with the fears hopes and dreams of others. 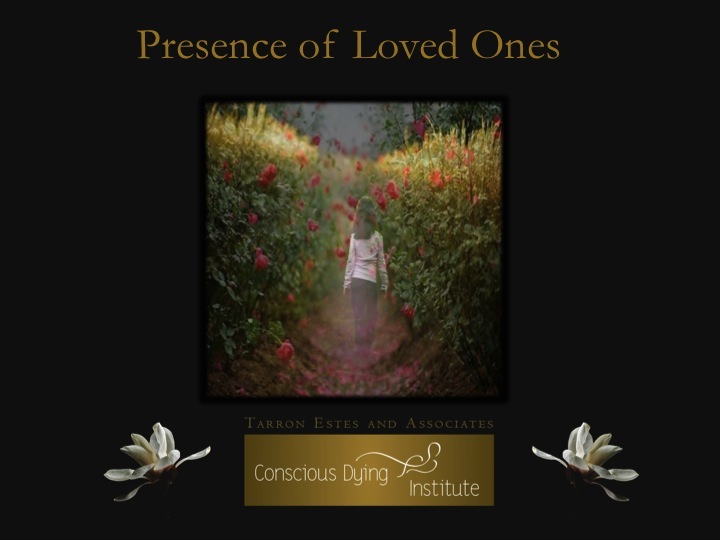 The Facilitators, Mary Rockwood Lane and Tarron Estes, Founder of the Conscious Dying Institute use rich multi-media modalities that evoke trust, love, forgiveness and surrender. Intimacy, openness, confidence and trust in ourselves and each other are renewed so that we can serve patients, families and loved ones as they transition within our own health care systems and communities. Throughout the centuries caregivers have struggled to provide intimate and holistic care of the dying. Ancient practices have proven beneficial as have the new, more current care of the dying through pain management and comfort care. Today our culture continues to struggle in knowing how to be present and in being comfortable in that presence, with patients, and the families & caregivers who are at the bedside of the dying. This conference invites nurses, physicians, clergy and chaplains, social workers, care coordinators, respiratory therapists, counselors, hospice practitioners, and all caregivers to spend a day in a transformative educational process for bringing the healing presence of the sacred, beauty, and quality moments to patients, families, and caregivers during the transitions of death. This conference will invite caregivers to be authentically present, communicate with vulnerability, honesty, and compassion; as well as administer palliative-based comfort care healing modalities for improving care at the end of life. This one day event is Phase 1 of a 3 Phase Transformational Program in Conscious Dying Education and Care™ with Healing with the Arts™ leading to Sacred Passage Guidance Certificate™ Facilitated by Tarron Estes, Founder Conscious Dying Institute, Boulder Colorado and Dr. Mary Rockwood Lane, Phd, R.N., F.A.A.N., Associate Professor University of Florida. In partnership with Wilmot Gardens College of Medicine UF Center for Spirituality and Health. 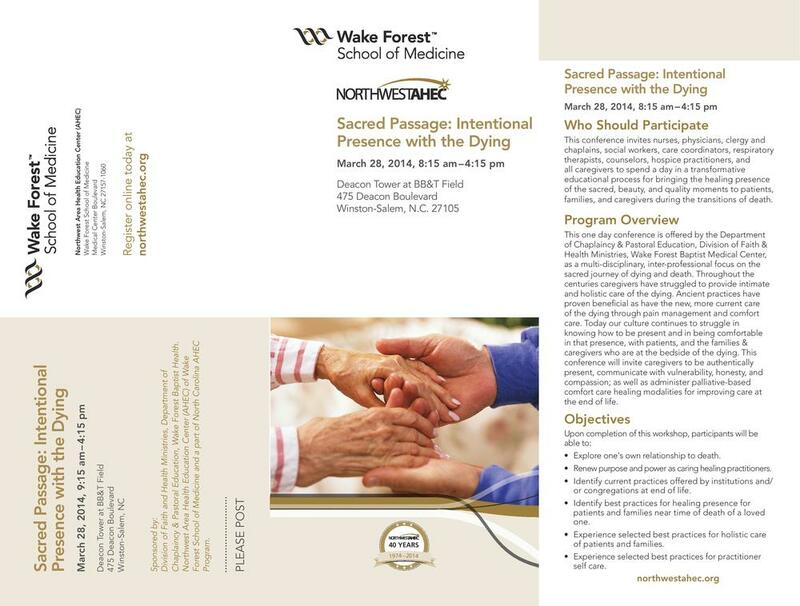 This life changing program is the first of a three phase educational program that introduces families, clinical leaders and frontline caregivers to the Sacred Passage Guide Certificate™. It prepares caregivers across all settings to be authentically present, communicate with vulnerability, honesty, and compassion and administer palliative-based comfort care healing modalities to anyone, regardless of health status by focusing on improving care at the end of life. 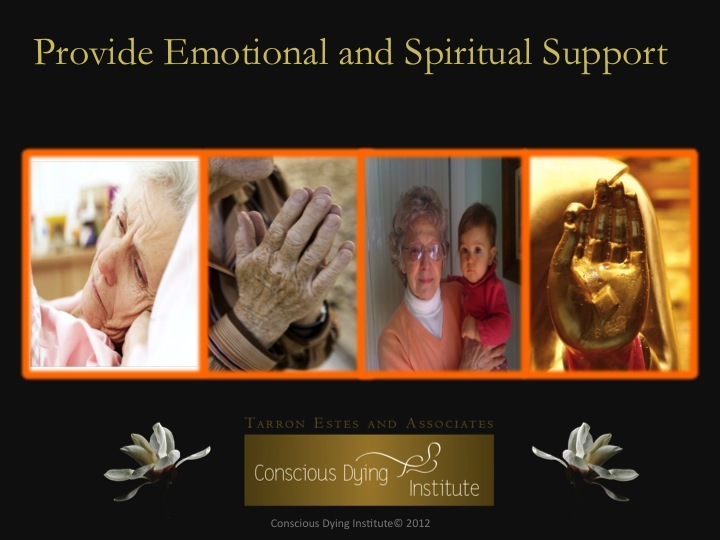 We include transformational, evidence-based, caring healing practices guided by Caring Science Theory of Dr. Jean Watson and Conscious Dying Principles and Practices by Tarron Estes, Founder of Conscious Dying Institute and Dr. Mary Rockwood Lane, author of Healing with the Arts .This program creates a pathway for a new livelihood for caregivers and new paradigm for end of life care.. Through these activities, we come to understand the simple basic human needs and practices for holding, listening, openness, forgiveness and love.